Today is Ash Wednesday. It is the beginning of the Lent season of the Christian Church Calendar. It is the time of year in which we turn up the volume on those darker whispers in our hearts to hear what they say. We turn our ears to the cries of the world bear the wounds of a weeping earth in our hearts and hands. And oh, the wounds are deep. We come to this Lent with the weight of so much on our collective shoulders: so much brokenness, so much injustice, so much pain, heartache, death, and violence in the world. I honestly thought that 2015 would bring relief from 2014. So far, it has not. But in the midst of the chaos that reigns both within and without, I am determined to turn my thoughts and this blog towards one area in which the Church as a whole needs to repent; an area in which I feel we can make some real progress in this day and age: Women in the Church. I do have an on-going series on this topic that I’ve been adding to for the past couple of years, but I think it’s important and helpful to turn towards it particularly now. Lent has always had a deep connection to this topic for me. It was at an Ash Wednesday service a few years ago where I first heard a woman preach in a way that really cut through my years of conditioning and acculturation and struck me deeply. Lent is a time in which we focus on the need and meaning of our Baptism. Many Easter services serve as time where people “renew their baptismal vows”. Water serves as an image of purification, death, marking, mission, chaos, and life. And Baptism was my gateway drug into accepting women into all places of leadership. 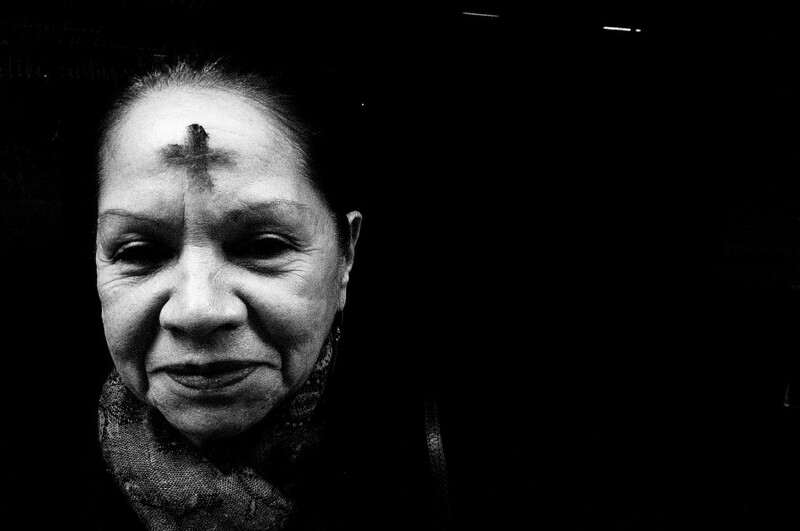 If people know one thing about Lent, it’s usually that people give stuff up for the season. But we’re not only supposed to be intentional with giving stuff up, but giving things out. There are many reasons why this is, but one of the big ones is that Lent is a time when we show solidarity with every kind of lack, poverty, marginalization, powerlessness, and voicelessness. And if there’s one group that Church historically and presently neglects and marginalizes, it’s women. This is also a chance for me to use this season to try and make much of others, and not just of myself. Through January, I took an intensive seminary course on Feminist Theology. It was fascinating, powerful, challenging, and productive. I have been wrestling with the implications of me speaking on this issue of women and Christianity. I do feel a genuine apprehension, anxiety, and discomfort with me–a white male in power and privilege–coming to conclusions and formulating any sort of definitive thoughts on feminism. So for the course’s final project, I tried to come up with a “male feminist” way of doing theology and talking about this. And that will be the spirit in which I’ll be talking about this in the weeks ahead. I want to build on that paper as well as share much of what I learned in that class through the Lenten season. In the end, though, what’s most important to me is not that people think I’m super-progressive or whatever. It’s that we all–myself included–might see the ways in which we’ve silenced and diminished our sisters and fellow co-heirs in Christ, and that we may use this season of Lent to repent of this, and really wrestle with how we might make room for the voices, authority, gifting, wisdom, and leadership of the women in our midst. In a world going mad, I can think of no other more attainable and meaningful work the Church could do.